Got a website with a number on the top? Are you running Facebook Ads with phone numbers on them or Google Ads with call extensions? Do you display numbers on your landing pages you create with Unbounce or Leadpages? If you aren’t using phone tracking you are literally leaving money on the table. All that money is lost if those phone calls weren’t tracked. No call button? Your customer is going to find alternatives. Period. The Phone Number: What Were You Thinking? We all conveniently forgot that the phone numbers on your website, Google Ads, and Facebook ads won’t track by themselves. 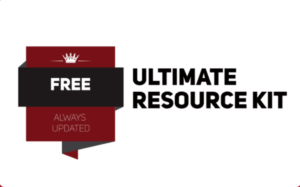 If you were getting about 15-20 calls per day, all thanks to your website banner and ad campaigns, and then a few more from various directories you were listed in, how would you possibly know where those calls come from. If any of those callers became customers, which source would you attribute the results to? That’s why you need a good call tracking software that can use toll-free numbers, local numbers, and dynamic numbers to track every incoming phone call and then tie this caller data to your ROI. That’s how marketing is done. They are ready. But are you? Consider this: your potential audience sees an ad, picks up the phone, and makes the call. What state of mind do you think they are in when they took the effort to dial up? Status alert: They are ready to buy. It’s evident: Google reveals that there’s a market 8% increase in click-through-rates of search ads that had a call button. And, people get frustrated when they can’t pick up the phone and get a hold of a business. 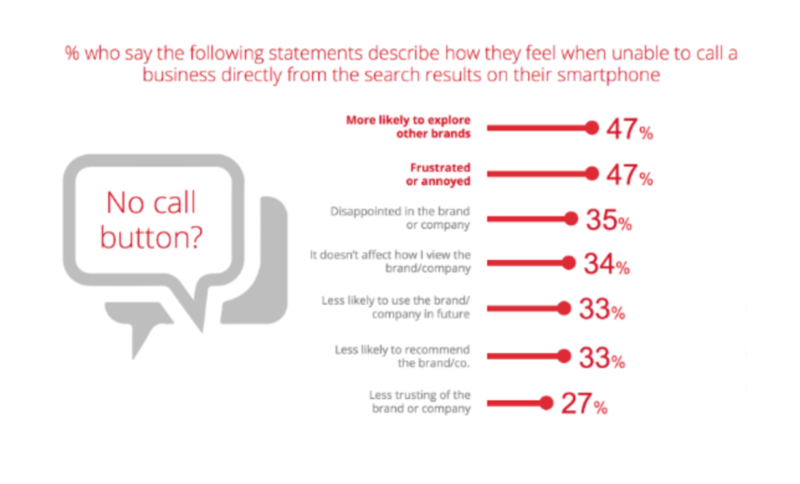 About 70% of respondents in a Google survey revealed that calls are important for them. They value “click to call” ads on Google, and that they get frustrated when businesses don’t lift the phone to answer. Phone calls (Inbound or outbound) — but mostly inbound in our case in point here — have a high human touch factor attributed to them. When your potential customers call, they are talking to an actual person (you or your team). This is vastly different from a text-based ad or an image-based ad. Phone calls are personal, natural, and absolutely effective to help you manage sales objections, answer questions, and throw in your personality for good measure. When people call and attend these calls, there’s an instant connect. The numbers prove it: When compared to web leads, calls convert 10 to 15 times more often. Use phone numbers & Track phone calls to get an accurate measure of just how well your ads perform, how many calls you receive, whether or not a caller is a first-time caller or a repeat caller, and how your ads convert. As Ryan Shank, founder of Phonewagon notes, the year 2018 alone saw more than 73 billion phone calls being made to small businesses. Meanwhile, more than $64.6 billion dollars are spent by businesses on local ads (Google, Bing, Facebook Ads, and elsewhere). Go back to your own analytics data or Google ads data and just see how many clicks you got on that “call extension”. There’s a reason why you use this extension and there’s an even bigger reason why Google even has the call extension in the first place. Google’s Call-only Campaigns are God sent for local businesses. While still being relatively cheaper than mainstream campaigns, Google’s call-only ads work great for local businesses. With a phone tracking software like Phonewagon, you can easy Integrate Google Ads account with Phonewagon and track every incoming phone call. You can, of course, link the same caller data with several marketing tools in your marketing stack to clearly see how these calls finally convert into sales, determine the lifetime value of each of your callers, and a data-driven approach to your marketing efforts. Start using phone numbers on your website, other marketing collateral, Google Ads, Facebook Ads, and everywhere else. Then, use a phone call tracking software like Phonewagon to track your campaigns. Note: You can also use phone numbers with your Facebook campaigns (just not the way Google does it). Just display a phone number in your Facebook ads. 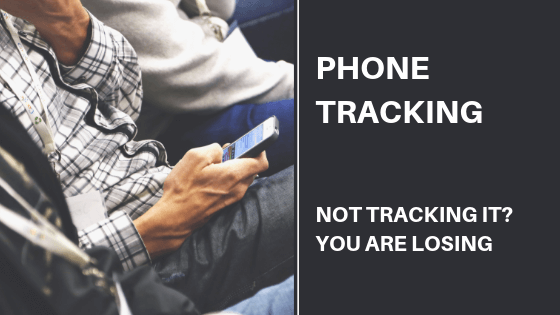 Do you use phone tracking yet? Need help running your Facebook and Google Ad Campaigns? Would you like professional help with tracking your phone calls?